Only from Crystalize ! This engraved Crystal Laguna (Pear Shaped) Whiskey / Liquor Decanter and two matching Double Old Fashioned (DOF) crystal glasses make a perfect barware gift for any special occasion or groomsmen, birthday, Father's Day and retirement. This decanter set is one of our best selling item ! 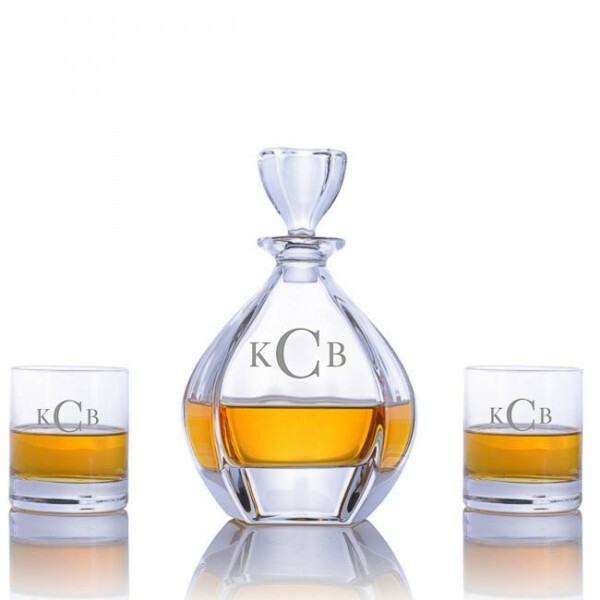 Personalize the liquor decanter and glasses for you, or as a gift! 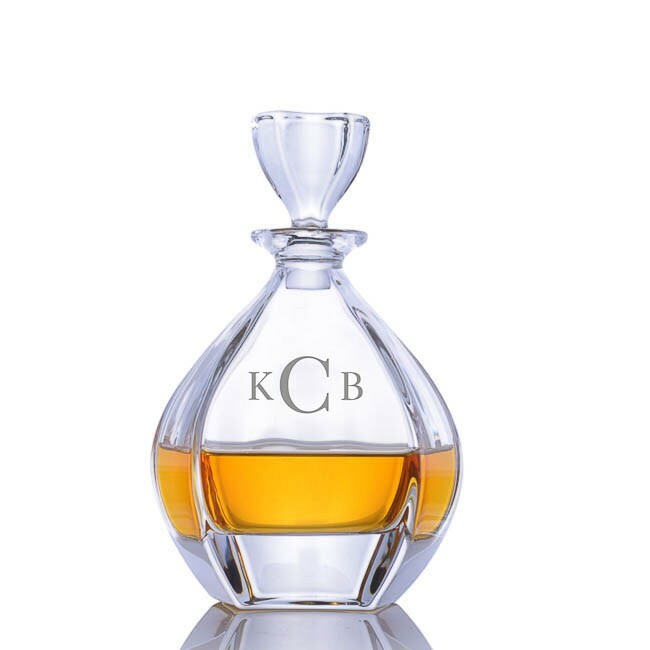 This unique decanter set is the perfect presentation for a company logo or award ! 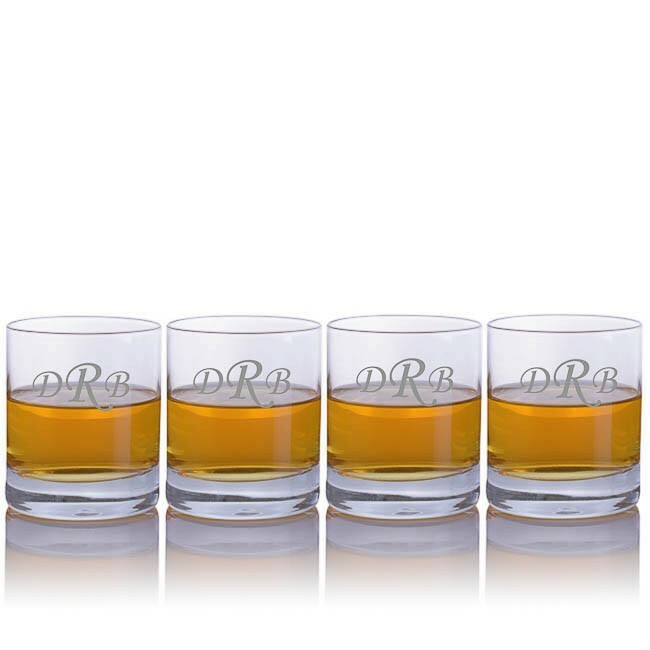 Crystal DOF glasses are perfect for elegantly serving scotch, whiskey or any mixed drink. These crystal glasses are showcasing the quality of European Crystal making. This 3 piece Crystal Laguna (Pear Shaped) Decanter Set makes a wonderful addition to your bar. Elegantly packed for gift-giving.